Jason Aldean calls deadly mass shooting "beyond horrific"
Country music star Jason Aldean took to social media to say he and his crew are safe after a gunman killed at least 59 people at an outdoor concert Sunday. Las Vegas authorities say at least 527 people were wounded in the attack. 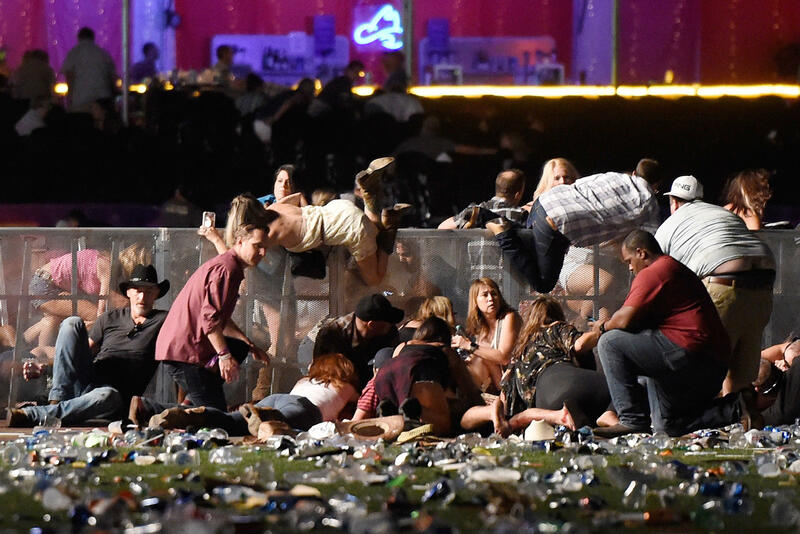 Clark County's sheriff says officers confronted the suspect on the 32nd floor of the Mandalay Bay Hotel and Casino across the street from the Route 91 Harvest Music Festival. The gunman was found dead at the scene and was identified by authorities as Stephen Paddock, 64, from Mesquite, Nevada. Country music star Jake Owen, who was one of the headliners at the Route 91 Harvest Festival, spoke to CBS News about what he saw. "We were in the middle of it," Owen told CBS News. "When the shots started being fired and you could hear it ricocheting off the roof of the stage, we started just running in any direction we could. You didn't know where it was coming from -- if it was somebody on the ground … At one point I was sitting on the ground behind a car with about 20 other people crouched down behind a car, just the fear in everyone's eyes but yet the feeling of everyone looking for someone to make sure they were okay. I've just never experienced anything like it before."